An attractive development close to beautiful countryside, lying on the edge of a historic market town. Register your interest for this development with our selling agents Atwell Martin, see contact details below. 52 The Barbury – A substantial four bedroom detached house with a garage and two parking spaces. 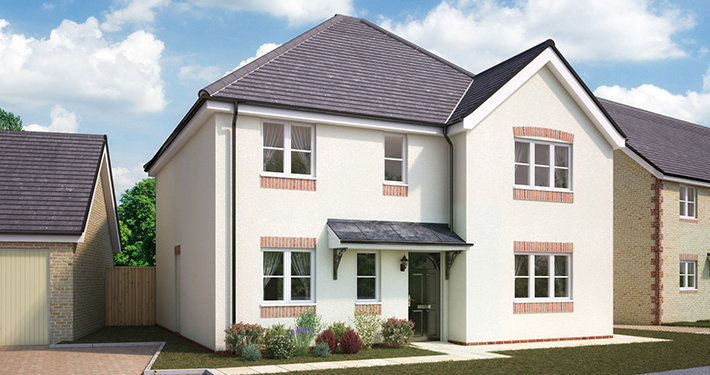 55 The Kington – A spacious three bedroom semi-detached house with two parking spaces. 88 The Barbury – A substantial four bedroom detached house with a garage and two parking spaces. 89 The Barbury – A substantial four bedroom detached house with a garage and two parking spaces.